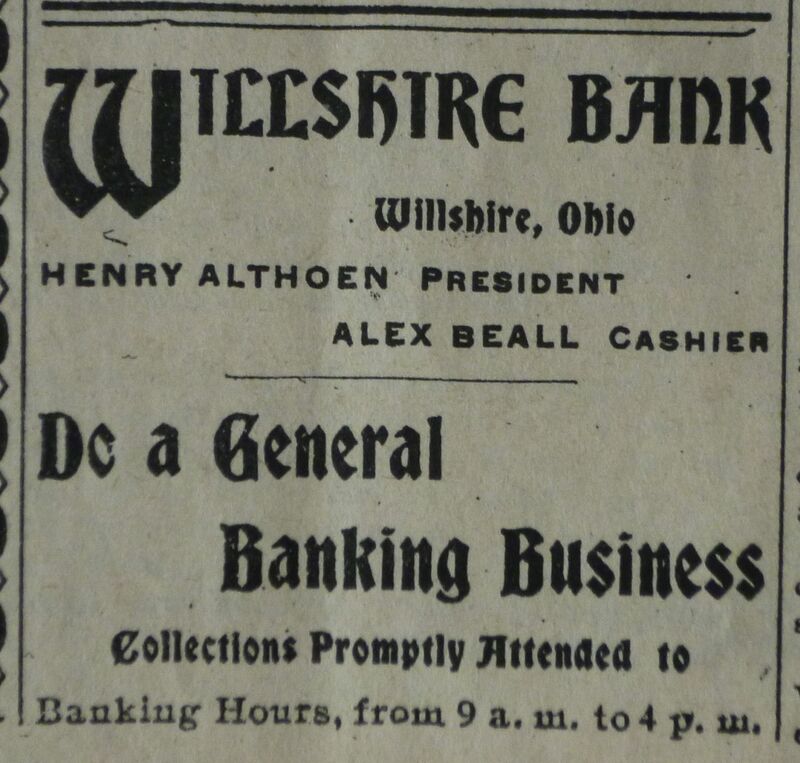 Today, more about Willshire, Ohio, in 1904, from information taken from the 5 May edition of the 1904 Willshire Herald. The Willshire Canning factory now has over 150 acres of sweet corn and tomatoes contracted. Better get into the band wagon while there is yet a chance to toot a lead horn. All persons desiring to avail themselves of the opportunity to raise sweet corn or tomatoes for the Canning Factory for the coming season, can contract with the processor, Chas. Nachbauer, on or after March 10, at the Hardware Store of Hurless & Brown, Willshire, O. Professor Catchpole is going to put in his summer vacation superintending and caring for fifteen acres of corn and tomatoes, for the Canning Factory. How much better such a course is than to sit around like a bump on a log and croak against the Canning Factory and its success, as a number of our citizens are doing. This is to certify that I had out eight acres of tomatoes and raised 420 bushels to the acre, which made a profit of $52.00 an acre. 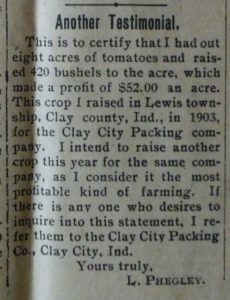 This crop I raised in Lewis township, Clay County, Ind., in 1903, for the Clay City Packing company. I intend to raise another crop this year for the same company, as I consider it the most profitable kind of farming. 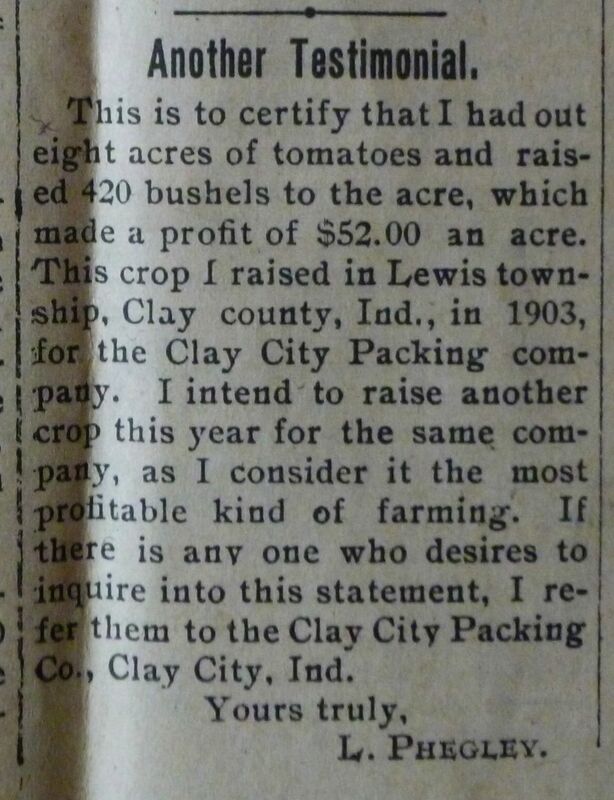 If there is anyone who desires to inquire into this statement, I refer them to the Clay City Packing Co., Clay City, Ind. Yours truly, L. Phegley. 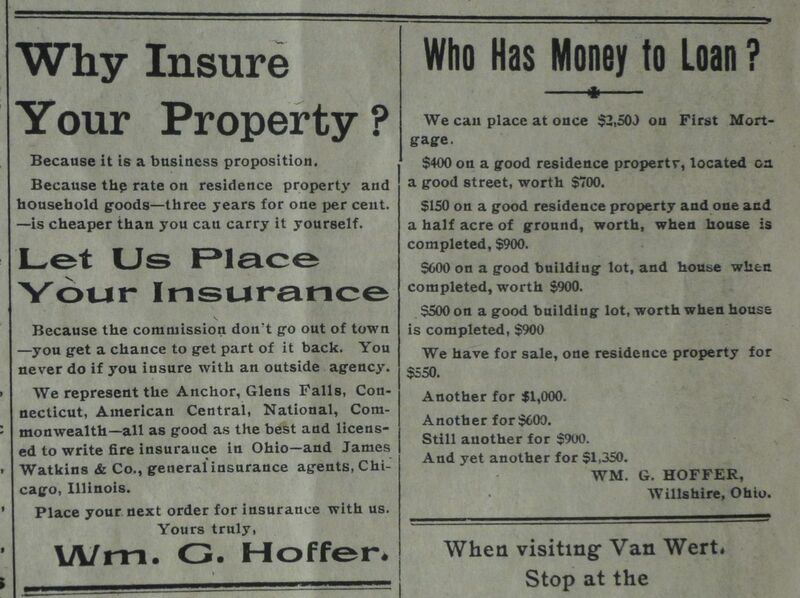 Clay City, Ind., April 19, 1904. “We made a little over One Hundred dollars an acre off our tomatoes. So, you see, it paid us well for raising them. There are a number of others here who did as well. I will gibe you a few names of farmers around here who say that it paid them to raise tomatoes for the factory. And there are many others who would willingly add their testimony, but I think that it is not necessary to mention the names of others. The above letter was written to Chas. Nachbauer, processor for the Willshire Canning factory. C.E. 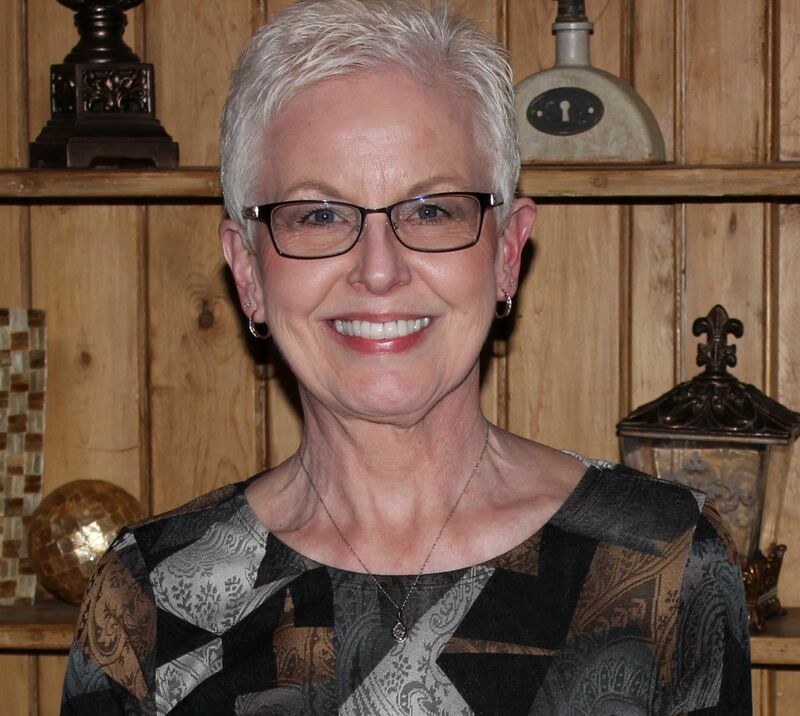 Detter is now at Oklahoma City, working up a $15,000 canning factory proposition. He says that city is a hustling, bustling place. 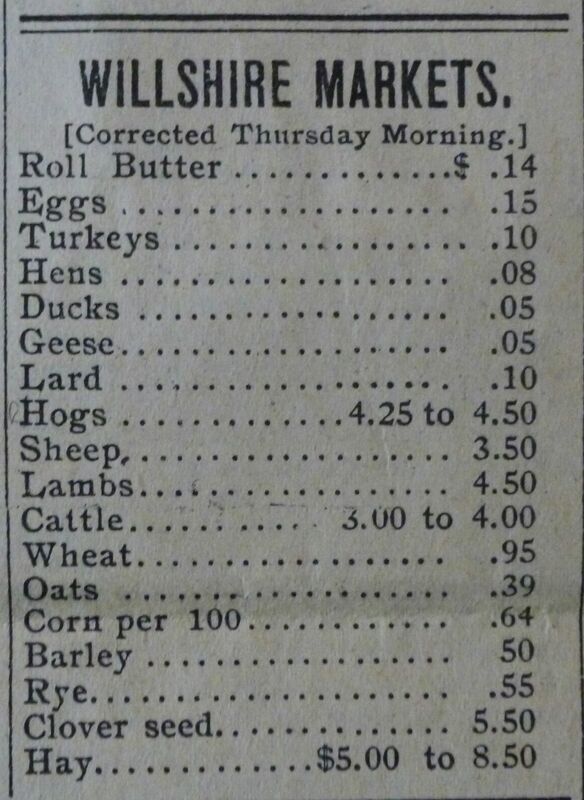 I wonder where the canning factory was located? Perhaps someone knows. Banking Hours, from 9 a.m. to 4 p.m.
Who Has Money to Loan? We can place at once $2,500 on First Mortgage. $400 on a good residence property, located on a good street, worth $700. $150 on a good residence property and one and a half acre of ground, worth, when house is completed, $900. $600 on a good building lot, and house when completed, worth $900. $500 on a good building lot, worth when house is completed, $900. We have for sale, one residence property for $550. And yet another for $1,350. Because it is a business proposition. Because the rate on residence property and household goods—three years for one per cent—is cheaper than you can carry it yourself. Because the commission don’t go out of town—you get a chance to get part of it back. You never do if you insure with an outside agency. 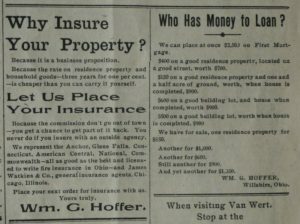 We represent the Anchor, Glens Falls, Connecticut, American Central, National, Commonwealth—all as good as the best and licensed to write fire insurance in Ohio—and James Watkins & Co., general insurance agents, Chicago, Illinois. Place your next order for insurance with us. Hoffer was a very busy man. 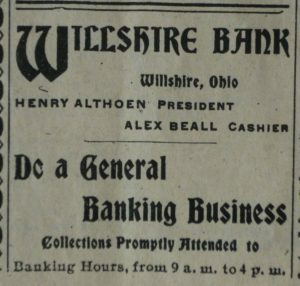 He was also the publisher of the Willshire Herald. 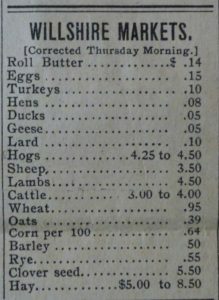 The prices are much different than today’s prices, with some different items mentioned.